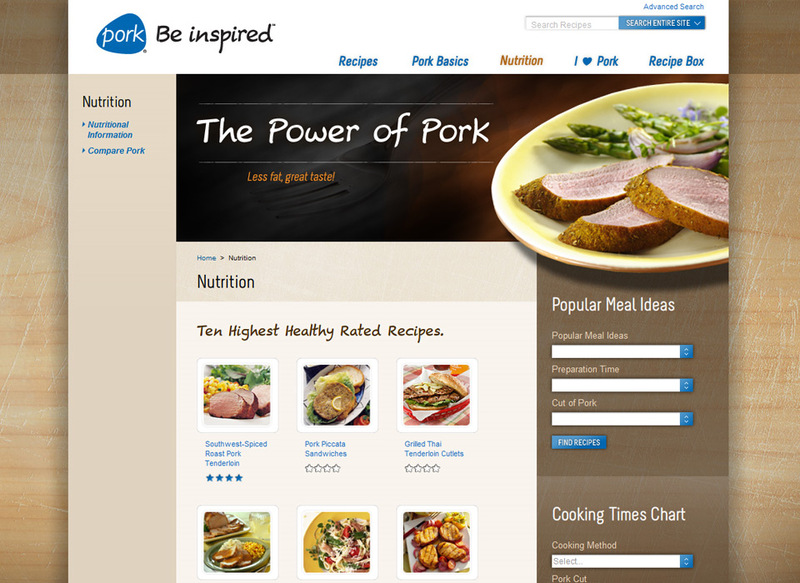 The National Pork Board (NPB) is responsible for communicating with pork producers and promoting the benefits of pork to the public. 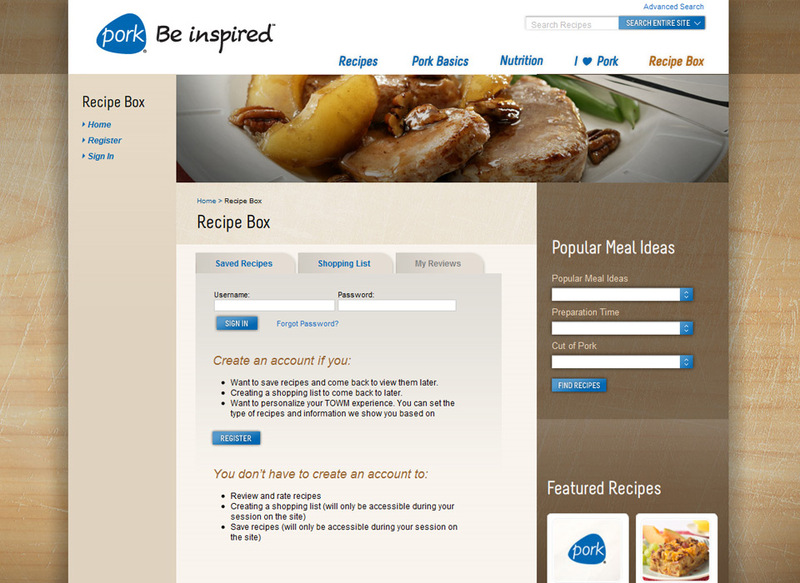 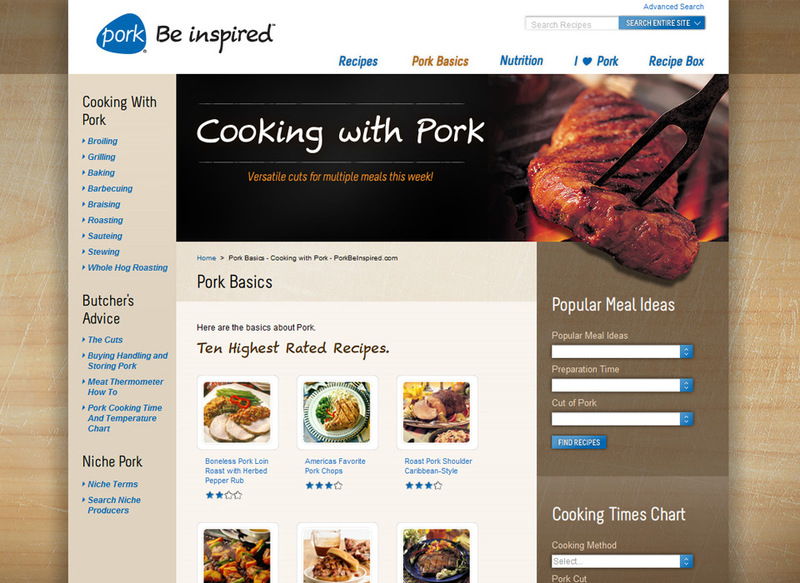 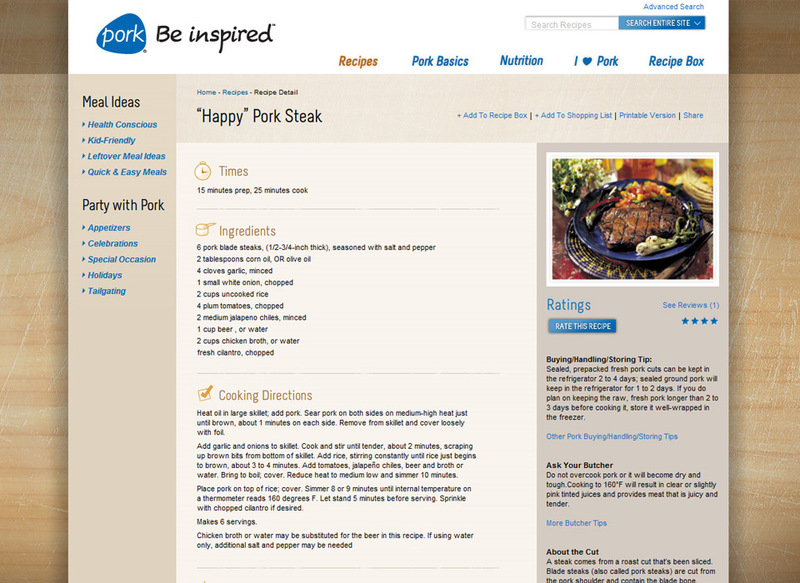 In 2012, we redesigned the website when NPB changed its tagline from “The Other White Meat” to “Be Inspired.” In this redesign, we incorporated a “southern kitchen” feel to help align the website to the organization’s new campaign. 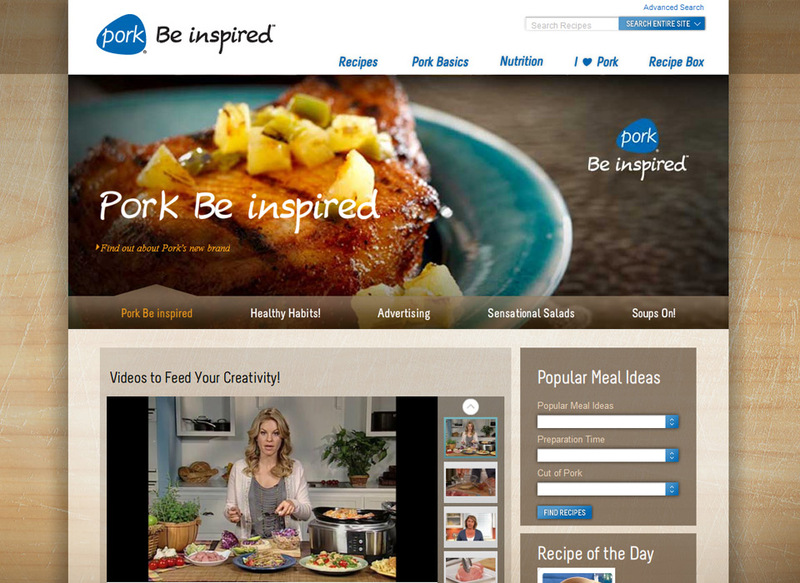 A video player was also added to the homepage enabling the user to cycle through numerous cooking videos quickly. 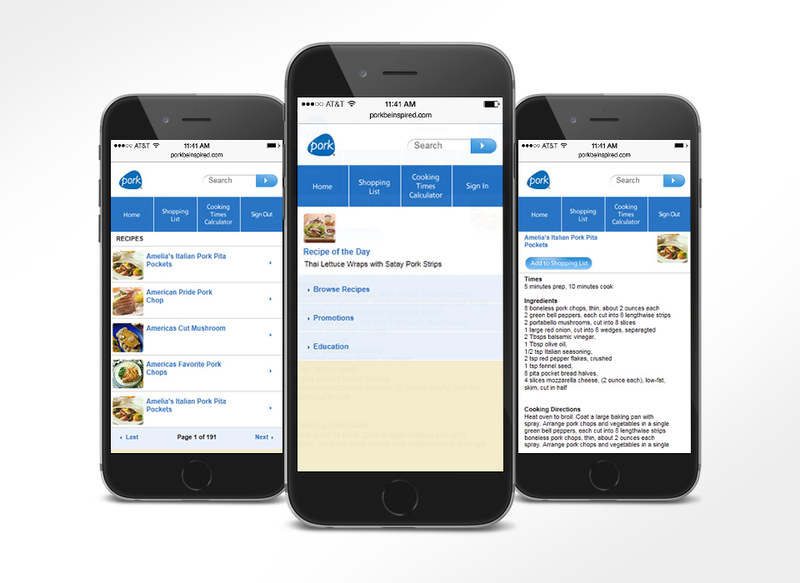 Over 3,000 recipes are available on the site, and users can rate recipes, save the recipes to their online recipe box and watch preparation videos. 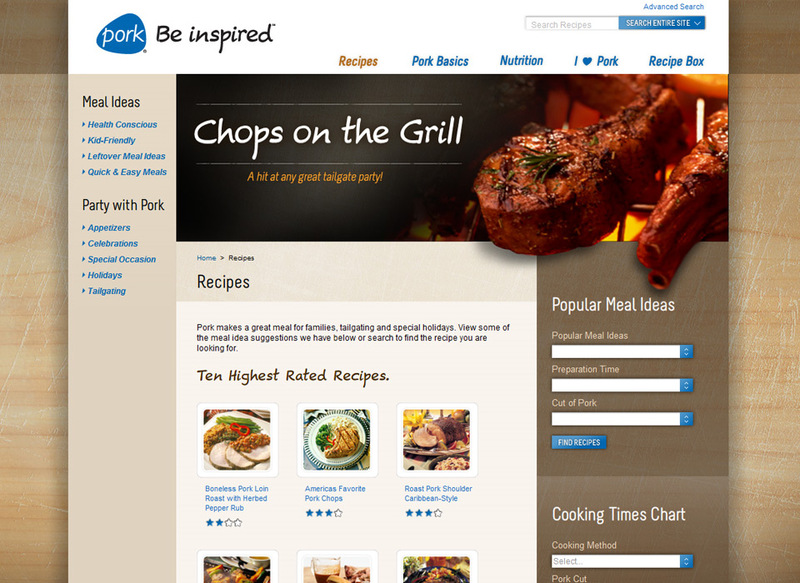 The website was developed on a content management system and is managed by the NPB marketing team. 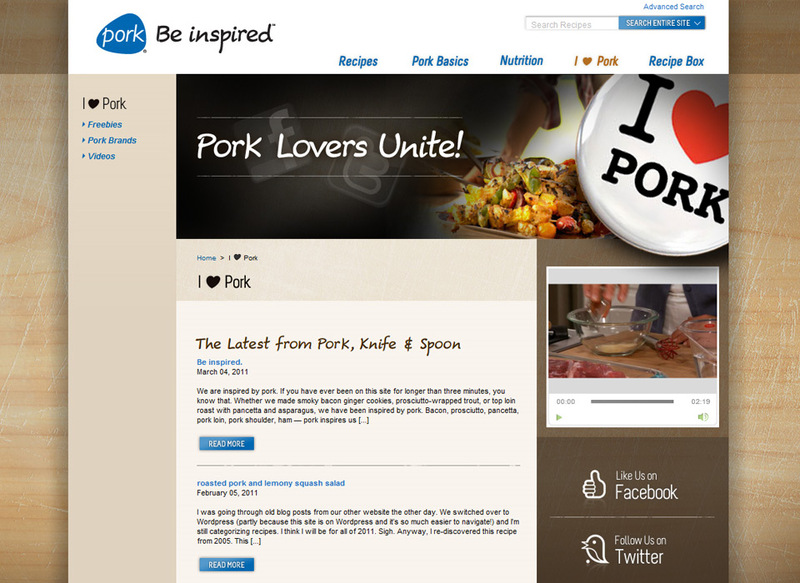 A mobile version of the site was also created, as well as a Pork Facebook page.